Imagine Pizza Hut’s sauces, drizzles, crusts and topping combinations. Have you tried all it has to offer? Well, if you haven’t, do not miss taking a food trip and try the plethora of mouth-watering pizza toppings of this renowned shop. If you love eating pizza with plenty of ingredients, Skinny Club is the best option. 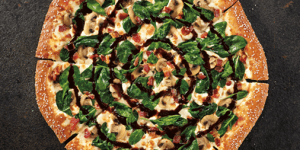 The ingredients include fresh spinach, diced Roma tomatoes, slow-roasted ham, creamy garlic Parmesan sauce and grilled chicken. This is surprisingly perfect for diners who love meaty pizzas. The classic meatballs and marinara sauce makes it meaty-sweety. Diced Roma tomatoes and red onions are added to enhance the taste. It’s not too dense, but it will make you feel full. 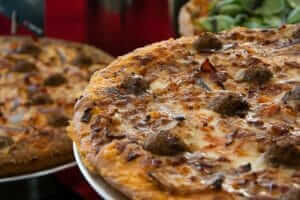 The meatballs are impressive as they have the perfect consistency for a pizza topping. The tomatoes are sweet and juicy, and the onions are firm enough giving the final touch on the pizza’s landscape. If you want something that will leave you feeling full after a long day at work, this variety of Pizza Hut pizza must be your choice. 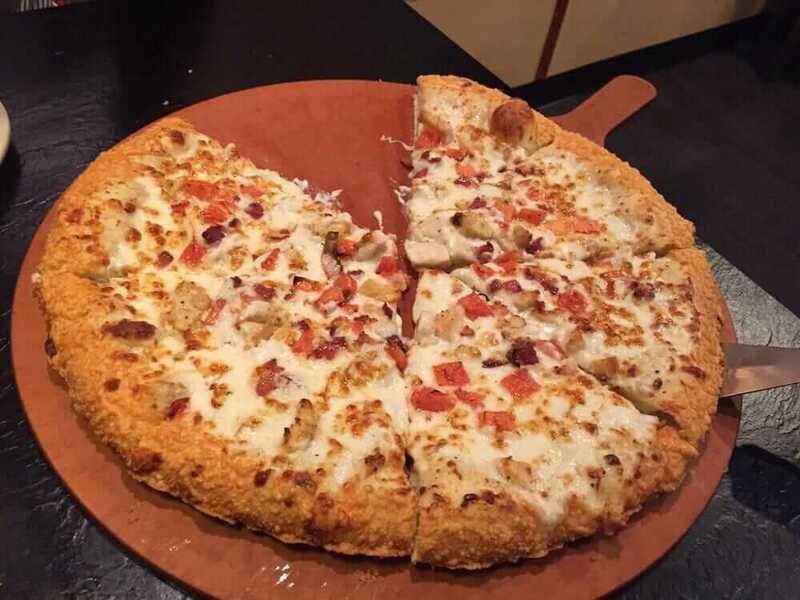 It is overloaded with ingredients including creamy garlic Parmesan sauce, hardwood smoked bacon, diced Roma tomatoes and grilled chicken. It doesn’t only look appetizing, but it also tastes good. 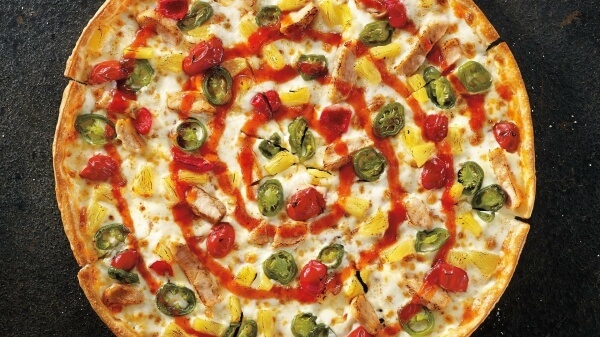 With the BBQ sauce spread on top, it will surely make you drool. The classic meatballs, diced Roma tomatoes, fresh red onions and hardwood smoked bacon makes this Pizza Hut pizza a little bit sweet. 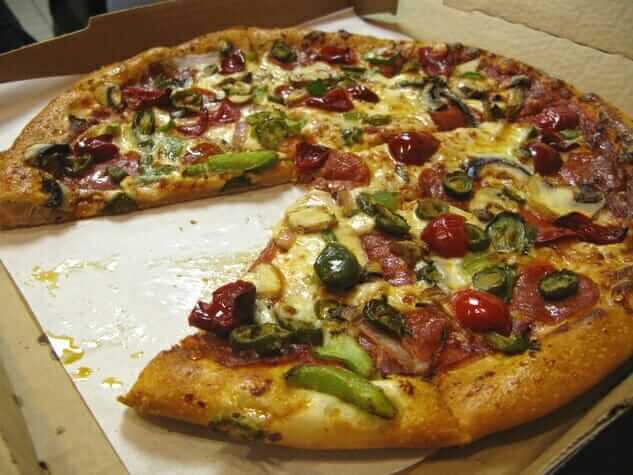 One of the favorite Pizza Hut pizzas that you should try. The combination of creamy garlic Parmesan sauce and the sweet taste of pretzel makes a delightful taste. 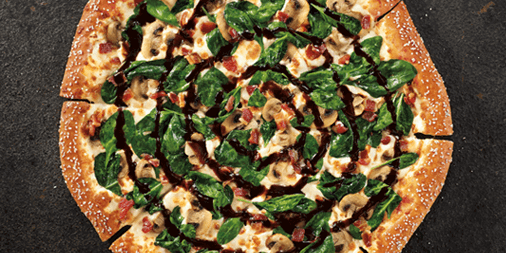 The additional fresh spinach and mushrooms blend well with them. Even non-pizza lovers will surely love the taste of Pretzel Piggy toppings. As compared to other toppings, the Pretzel Piggy is full of contrasting flavors and the most obvious is the creamy garlic parmesan sauce and the tangy and sweet balsamic drizzle. However, you can expect a perfect balance of sweet and sour. This is a perfect pizza for vegetarians as they can enjoy the pizza along with the spinach and mushroom. 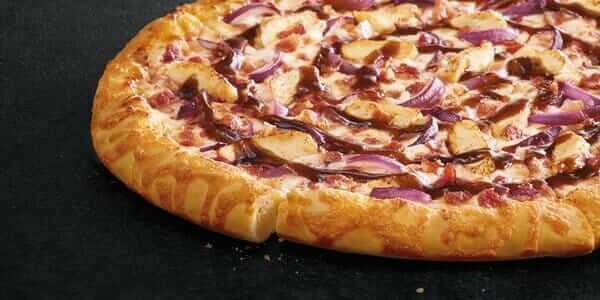 This pizza comes with a barbeque sauce, hardwood smoked bacon, grilled chicken and fresh onions. Aside from its delicious toppings, the toasted cheddar crust edge and the BBQ sauce drizzle adds perfection to its taste. 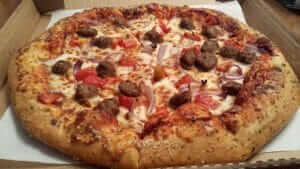 The soft spongy texture and excellent meaty flavor of this pizza make it stand out from the other ones on the menu. Pizza lovers looking for something spicy can choose the Sweet Sriracha Dynamite pizza. It graces the taste buds with a mixture of sweet pineapple and spicy sliced jalapeno peppers and Peruvian cherry peppers. Pizza is one of the people’s top food choices. You can have it when you want to celebrate an occasion or simply have a quick meal. Of course, the greatest thing about it is that it comes with so many versions that you can easily find one that perfectly suits your taste buds. 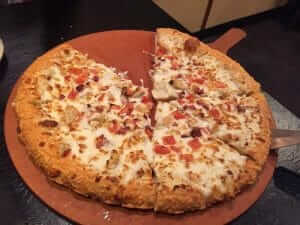 Pizza Hut offers a quality menu to their customers, so it’s not really a wonder why it has gained a lot of popularity. If you missed eating any of those in the list, you might want to start ordering them now.